Wedding vow renewal ceremonies can be as creative and personal as you want them to be. 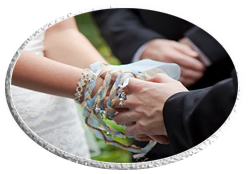 Wedding vow renewal ceremonies can be as creative and personal as you want them to be. This ceremony is appropriate at any stage of marriage, but significant anniversaries are often thought to be especially poignant times for renewing your commitment and love. Renewing your wedding vows can be meaningful, touching, and rejuvenating for you, your children, your family and friends. It is wonderful example to set for both your children and grandchildren, and the chance to commit to your enduring bond to each other as your loved ones watch on can be truly moving. Unlike weddings, no legal paperwork is needed for a vow renewal. 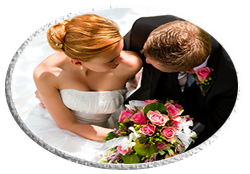 The ceremony can be conducted in banquet facilities, chapels, on yachts, out doors or in the privacy of a couple’s home, and whether you want a room full of guests or an intimate setting with just you two, we work around you. I will help you create that special day to be a perfect one like your first.